By Illinois statute, the ILBOE’s 11-member non-compensated Board of Directors “the Board” is comprised of nine (9) Certified Public Accountants (CPAs) and two (2) public members, including one attorney and one educator, appointed by the Governor of the State of Illinois. The Board participates in four (4) quarterly meetings and several committee meetings-Administrative, Candidacy, Education Advisory, Executive, Finance & Strategic Planning annually. Our Board Member are the fiduciaries appointed to govern the business strategy and financial affairs of the Illinois Board of Examiners. Get to know our Board Members and their strengths, talents and abilities below. Sara holds a Bachelor’s degree in Accountancy from Southern Illinois University at Carbondale. She is the current Director of Risk Advisory and Forensic Services for Wipfli, LLP’s financial institutions practice. Previously, she has served as Chief Financial Officer (CFO) of The Leaders Bank, CFO and Treasurer of Pinnacle Banc Group, Inc. and Pinnacle Bank and as Senior Vice President and Controller at the Oak Brook Bank located in Oak Brook, IL. Sara is also a Chartered Global Management Accountant (CGMA), Certified Internal Auditor (CIA) and is Certified in Risk Management Assurance (CRMA). Sara has 35 plus years of internal audit, accounting and reporting issues, enterprise risk management, asset/liability consulting and operational reviews experience with a concentration on financial institutions. In addition to being active in the financial business sector, she currently serves on the Illinois Board of Examiners’ Education Advisory Task Force and State Liaison Committee as well as serving as the Treasurer and member of the CPA Endowment Fund of Illinois Board of Directors. Sara has served as the Chairperson and Director of the Board at the Illinois CPA Society and a committee member of the Education Committee of the Community Banker’s Association of Illinois. Sara is a loving and dedicated wife and mother to two sons, three daughters and two beloved dogs. She enjoys cheering on the Blackhawks (and the Cubs), traveling, reading and most importantly spending time with family. Dr. Petravick is a graduate from Loyola University of Chicago with a Bachelor’s degree, DePaul University with a Master’s degree in Accountancy, the University of Illinois at Chicago with a Doctorate of Philosophy and is also a Certified Internal Auditor (CIA). He has worked in banking and accounting and currently teaches audit and computer assisted audit techniques to undergraduate and graduate students while serving as a professor in the Accounting Department at Bradley University (BU) located in Peoria, IL. Dr. Petravick currently serves as the coordinator of BU’s Internal Audit Education Partnership Program, faculty advisor for BU’s chapter of Beta Alpha Psi, and as the Chair of the Education Advisory Task Force and Candidacy Committee for the Illinois Board of Examiners. He has also held leadership roles with the Illinois CPA Society and the Central Illinois Chapter of the Institute of Internal Auditors. Dr. Petravick has been recognized as an Outstanding Academic Advisor in 2001 and 2010, Outstanding Faculty Advisor in 2001, Outstanding Student Organization Advisor in 1999, 2007, 2010 and 2012 and received the Outstanding Accounting Educator Award in 2010. When he is not in the classroom, he is researching and speaking on the uses of technology to improve accounting and auditing and publishing papers in academic journals. Dr. Petravick is a husband and father of two children, who enjoys running marathons and actively supporting students with furthering their education. Brad obtained his Bachelor of Arts degree from the University of Michigan, his Juris Doctorate from Michigan State University-DCL, and LLM in Taxation for Georgetown University. As a PwC Principal, Brad has 18 years of public accounting experience. He is the Mid-Central Region State and Local Tax Coordinator for PricewaterhouseCoopers’ Indirect Tax practice. Although based in Chicago, Brad serves clients throughout the Midwest. Since joining PwC, he has served clients in all industries related to multi-state sales, use and excise tax matters. Brad also serves as faculty at the DePaul University School of Business as an instructor of State and Local Taxation, and has published materials relating to state and local tax on-behalf of the American Bar Association, Michigan Association of Certified Public Accountants, and Michigan Bar Association. He also frequently serves as a speaker at industry events on tax matters. Brad is the loving father of three who enjoys family vacations and biking. Jeannie earned a Bachelor’s degree in Accountancy from Loyola University Chicago and a Master’s degree in Accountancy from Northern Illinois University (NIU). Jeannie began her career in public accounting at Coopers & Lybrand (now part of PricewaterhouseCoopers) as General Practice staff and Audit Manager. She then joined the accounting faculty at College of DuPage (COD) as a full-time professor. During her 22-year career at COD, Jeannie also provided instruction to CPA Exam candidates in AUDIT, REG and BEC. Jeannie has published articles, co-authored books and written over 50 study guides and instructor's manuals to accompany financial and managerial textbooks. She is currently developing digital content to enable accounting students to learn more effectively using online, interactive platforms. Jeannie has served on various Illinois CPA Society committees, including the CPA Examination Transition Task Force and the Outstanding Educator Task Force. Her awards include the Illinois CPA Society’s Distinguished Service and Outstanding Accounting Educator award, the NIU Department of Accountancy Teaching Assistant Award for Excellence, the Beta Alpha Psi National Research Scholar, Women in Management National Association Charlotte Danstrom Award, and Coopers & Lybrand Commitment Award. Jeannie is a certified scuba diver. In addition to traveling around the world to dive, her interests include hiking, biking, and photography. She volunteers regularly in the SitStayRead program in the Chicago Public Schools. Tom Homer received his Bachelor’s degree from the University of Illinois in Urbana and a Juris Doctorate from Chicago-Kent College of Law. 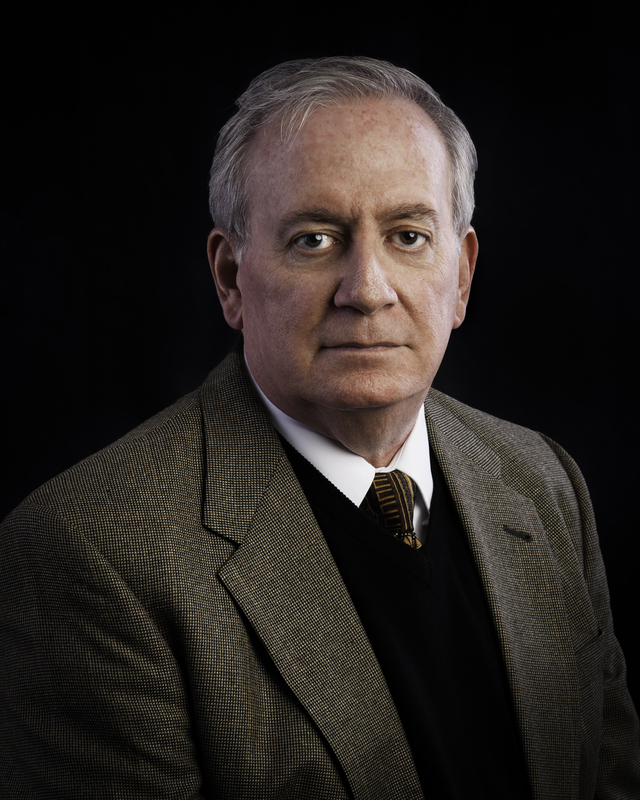 Tom began his legal career in 1974 as a prosecutor in Lake County. He served two terms as the Fulton County Attorney and six terms as a member of the Illinois House of Representatives. He was elected to the Illinois Appellate Court in 1996 where he served until 2003, serving as the presiding justice for two one-year terms. From 2004 to 2014, Tom served as ethics advisor to the Illinois General Assembly during which he was recognized by the Illinois General Assembly for his integrity and ability (House Joint Resolution 142, 95th General Assembly). In March 2017, Governor Bruce Rauner appointed Tom to the Illinois Board of Examiners. Tom is the owner of the Homer Law Firm in Naperville, where his practice is concentrated in the areas of estate planning, probate, real estate, and civil mediation. As a Certified Financial Planner (CFP®), Tom also advises clients with respect to wealth accumulation and wealth preservation strategies. James is a graduate from Northern Illinois University (NIU) with a Bachelor’s degree in Accountancy and a Master’s degree in Business Administration. He has 35-plus years of business experience starting with Deloitte and EY, both Big Four accounting firms and progressive roles from Controller to Chief Operating Officer at the Henry Pratt Company, Hedman Company and Paymaster Technologies. James is an Alumni volunteer for several NIU College of Business outreach activities, was a Cub Scout Master and leader for over five years and served as a religious education mentor for a local religious organization. Rhonda is a graduate from DePaul University with a Bachelor’s degree in Psychology and a Master’s of Science in Accountancy degree. After 20 years of successful public accounting and consulting practice, Rhonda and her partner merged their individual and small business accounting and tax practice with Rosen & Cohen LLC, a larger and more resourceful medium- sized accounting firm. She continues to work with the successor firm, serving existing and new clients. For the past 24 years, Rhonda has served as an Adjunct Professor of Accounting at Loyola University’s Quinlan School of Business. She has also served as Associate Professor of Accounting at Mundelein College. Rhonda was the co-owner, with her late husband Zaven Kodjayan, and Chief Financial Officer of Zaven’s Fine Dining Restaurant. Rhonda serves on the Education Advisory Task Force and Strategic Planning Committee with the Illinois Board of Examiners. Rhonda also serves on the National Association of State Boards of Accountancy’s Education Committee Subcommittee. And she contributes to accounting students and young professionals by submitting information and volunteering her time through the Illinois CPA Society (ICPAS). Rhonda has also served as Vice President and Director of the Board for the ICPAS, as well as, Chairperson of the State of Illinois Prairie State 2000 Authority. Rhonda has a passion for teaching. She is active with Chicago Community Trust and has been certified as a First Aid Instructor by the American Heart Association. Annette obtained her Bachelor of Business Administration in Accountancy from the University of Notre Dame and is Controller for Amsted Industries which is a diversified global manufacturer of industrial components. Prior to joining Amsted in 2018, she was Vice President of Finance and Head of Internal Audit for RR Donnelley & Sons in Chicago. During her 15 years at RR Donnelley, Annette progressed through various financial roles with increasing responsibility including Investor Relations, Financial Planning & Analysis and Operations Finance. Annette began her career as an auditor with Ernst & Young LLP, then spent time at both McDonalds Corporation and Follett Corporation before a successful career at RR Donnelley. Annette is a former board member of the Illinois CPA Society and is a current member of the Chicago Finance Exchange. Kent is a graduate of University of Illinois at Urbana-Champaign with a Bachelor’s degree in Accountancy. Prior to starting his own firm, he worked at JE Fleming and Company CPA firm for fifteen years. Kent’s Professional memberships and service include the American Institute of CPAs, the Illinois CPA Society’s Board of Directors, Member, CPA Endowment Fund Board of Directors, Member, Regulation and Legislation Committee, Chairman, Sunset Legislation Committee, Member, Agribusiness Committee, Chairman and Student Outreach Committee, Member in addition to serving as Chairman on Eastern Illinois University’s Accounting Advisory Board. Kent is also significantly involved in the education of public school students. He has served on numerous school district Boards of Education and foundations holding various positions such as a member, treasurer and secretary. He has also held the President position for the Greater Fairfield Area Chamber of Commerce as well as Secretary for the Philippine Churches of Christ of Northern Luzon, Philippines. Brian holds a B.A. from Northwestern University and both a J.D., with honors, and an L.L.M. in Taxation, with high honors, from the Illinois Institute of Technology/Chicago-Kent College of Law. Brian retired in 2016 as a Senior Tax Partner with Plante Moran, a Midwest regional certified public accounting firm. During his nearly 30 years with the predecessor firm, Blackman Kallick, Brian was the partner in charge of both Wealth Transfer Services and tax services related to the firm’s Tax Exempt Organizations Group. Over the last thirty-nine years, Brian has practiced in both law firms and public accounting firms. His expertise focused on business succession planning, tax planning, and compliance issues related to high net worth individuals and their closely held businesses, as well as Exempt Organizations. For the past 12 years, Brian was an adjunct member of the faculty at the University of Illinois at Urbana-Campaign where he taught in the Masters of Science in Taxation Program. Prior to that Brian taught at DePaul University in their Masters of Science in Taxation Program. He writes a quarterly column under the by-line “Untaxingly yours” in Taxes – The Tax Magazine published by the CCH division of Wolters Kluwer’s. Brian is a Past Chairman of the Board of Directors of the Illinois CPA Society, and earned the Lifetime Achievement Award of the Illinois CPA Society in 2014. He received the Austin Fleming Award from the Chicago Estate Planning Council in 2018. He is an active member of the American Bar Association; the Illinois State Bar Association; the Chicago Bar Association. He continues to be an active member of the AICPA where he serves on the Estate and Gift Tax Technical Review Panel. He is a frequent national speaker before professional groups. His straight-forward plain English speaking style makes complex topics understandable for both practitioners and clients. For over 40 years Larry Wojcik has focused his practice on the defense of auditors, accountants, lawyers, directors, officers, corporations and broker-dealers in litigation involving complex securities, financial, tax and intellectual property disputes, including representation of clients before federal, state and municipal regulators. He has successfully represented national and regional accounting firms, and CPAs in securities and malpractice actions, as well as in US Securities and Exchange Commission, Public Company Accounting Oversight Board and state board of accountancy investigations. Larry has served as the Chair of the Illinois CPA Society and was the recipient of the Society's Lifetime Achievement Award. In addition, he has chaired the professional responsibility committees of both the Illinois State Bar Association and the Chicago Bar Association. Larry was recently appointed to the AICPA's Professional Ethics Executive Committee. Larry is active in the community and has received several awards for his pro bono activity, and currently serves as the Co-Chair of the American Bar Association Criminal Law Section's Juvenile Standards Task Force. Larry also serves on the Advisory Board of the Northwestern University Pritzker School of Law Bluhm Legal Clinic.